The Defence Minister of Austria has attacked German Chancellor Angela Merkel calling her attitude and policy during the migrant crisis “irresponsible” and holding her accountable for Austria’s migrant problems. Austrian Defence Minister and Socialist Party MP Hans Peter Doskozil did not mince words Friday when it came to his opinion of how German Chancellor Angela Merkel has handled the migrant crisis over the past year. Doskozil called the Chancellor “irresponsible” for her remarks to the German people and Europeans saying “We can do it!” as over a million migrants flooded into Europe, mostly to Germany through Austria. The minister made clear demands to Germany and the European Union to fix the broken asylum system and prevent a repeat of last year reports Austrian paper Kronen Zeitung. “Austria is not the waiting room for Germany,” Doskozil said Friday and slammed Merkel warning that “2015 must not be repeated.” The constant repetition of the so-called “welcome culture” was, according to Doskozil, something that only attracted more migrants to attempt the trip to Europe as they saw migrants being greeted at trains stations with cheers and gifts. 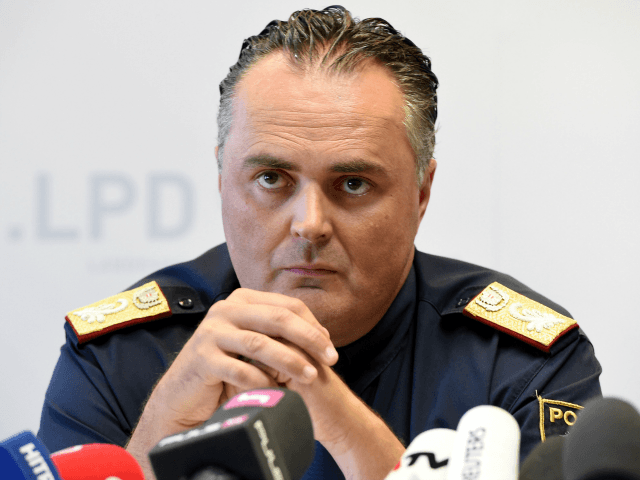 The current migrant crisis in Italy was brought up by Doskozil who said, “If in the heart of Milan tents for refugees must be established, no one can argue that we are dealing with this influx reasonably.” He warned that Italy could be overwhelmed as the rest of Europe has renewed border checks on the Italian borders. The proposed border fence on the Brenner pass between Austria and Italy caused a row between the two countries earlier this year as Austria tried to prevent the massive waves of migrants from North Africa coming through their borders. The Defence Minister proposed a fresh new look at European asylum policies and said he would like to see a summit of European leaders to discuss the immediate and coordinated deportation of migrants who do not qualify for asylum. He also said that the EU as a whole must enforce the common borders and not leave countries like Greece and Italy to fend for themselves. On the subject of Turkey Doskozil said, “The Turkish government is no longer to be taken seriously by the recent events,” adding that Turkey was “far away” from the visa-free access to the European Union, a subject that has made the Turkish government repeatedly threaten to scrap the EU-Turkey migrant deal. According to Doskozil the EU should have better border control so that such a deal would not be needed in the first place.